The first bank holiday of 2019 is nearly upon us. And that means two extra days for you to enjoy yourselves & more time to spend in the pub! We will, of course, be extending our opening hours to allow you to do just that. 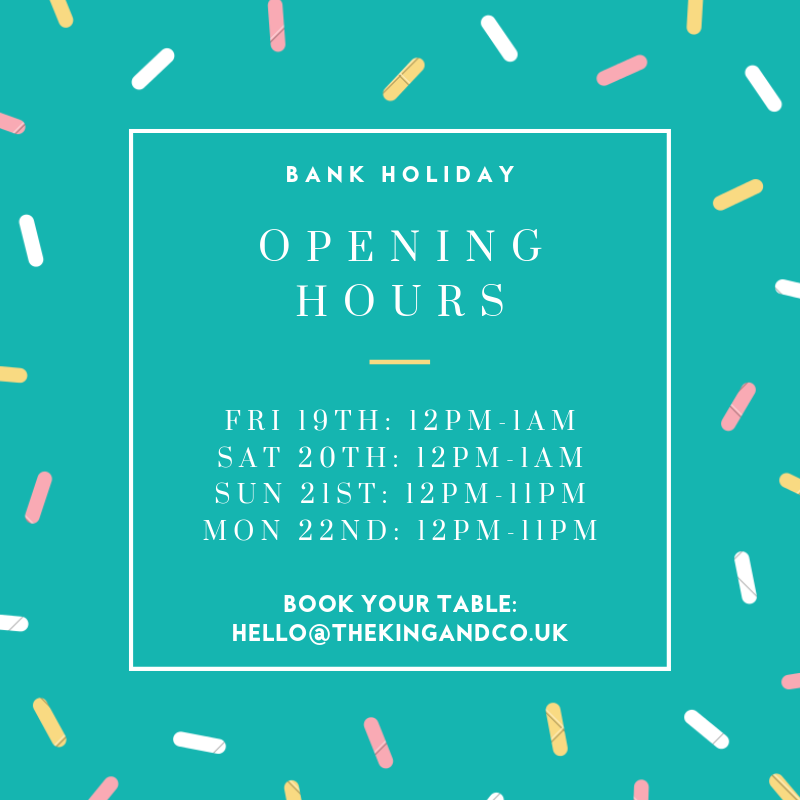 Over the weekend we will be open from midday on Friday for lunch & then again from midday on Monday for brunch. We have live music on Sunday evening to help soothe those bank holiday hangovers & maybe even be the cause of another one!